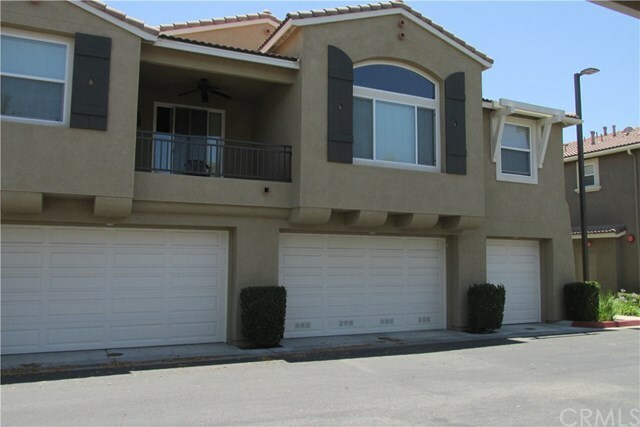 Lovely condo in the prestigious Murrieta community of North Oaks. Downstairs includes spacious kitchen with separate dining area, large living room, storage closet, 2 car attached garage, and half bathroom. Upstairs has the master suite, laundry area, two more bedrooms, and another full bathroom. SLAB GRANITE COUNTER TOPS, CUSTOM TILE FLOORING down and UPGRADED CARPET up. "JUST RIGHT" BACKYARD with custom stamped concrete patio and separate grass area, and a view of the community pool. JUST A FEW BLOCKS FROM SHOPPING, DINING, and the 215 FREEWAY. This one is going to sell fast!! GET IT BEFORE SOMEONE BEATS YOU TO IT!! Please click on the virtual tour for more photos.